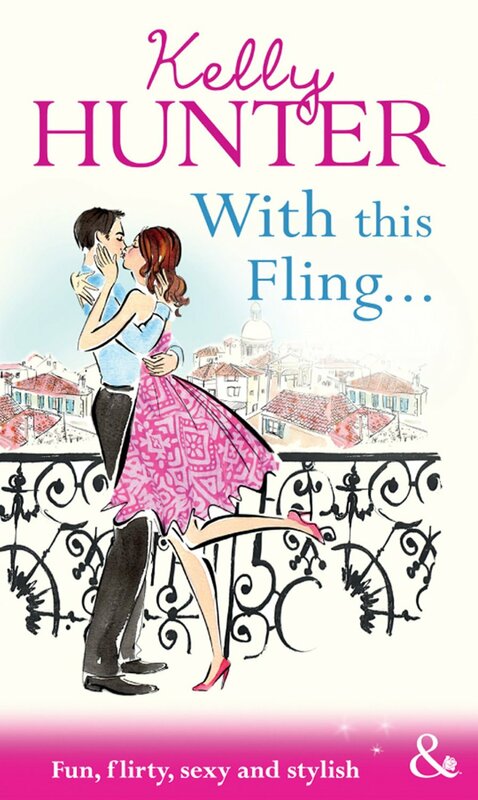 In true M&B style, this book is light, romantic and delightful. An independent heroine, a determined hero, inconvenient desire, plenty of attraction and lots of lovely complications to make things tricky. And because this is M&B no obstacle or objection is truly insurmountable. So when Grey knows exactly what he wants, Charlotte is lucky enough to get what she deserves. A nice, easy, enjoyable read, full of rich, gorgeous people, with real life left far, far behind. Perfect for warming away the winter blues. 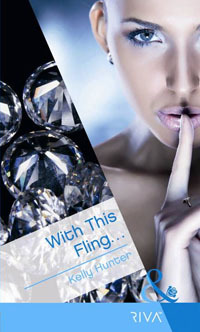 This book was the top pick in category romance in Australia for 2011. What wasn’t clear from the blurb was how funny the book is. The banter between the loopy heroine and the adventurous but rude hero is the true highlight of the book and a reason for anyone to read it. It’s classy writing. There was a lot to be said for fictional fiancés, decided Charlotte Greenstone as she settled into the saggy vinyl hospital chair for yet another night time vigil by her dying godmother’s side. The room had seen decades of sickness and death but the elderly Aurora refused entry to gloom and opted instead to remember a life well lived and speculate quite outrageously on what might come after death. Ashes seemed inevitable given that Aurora wanted to be cremated, but if not dust, Aurora pondered the layout of heaven, the hierarchy within it, and how long the waiting list for reincarnation as a house cat might be. This night, unfortunately, wasn’t shaping up to be one of Aurora’s better nights. Tonight Aurora was morphined-up and fretful, her main concern being that once Aurora was gone Charlotte would have no one. Not nothing—for when it came to worldly possessions Charlotte had more than enough for any one person. But when it came to family and a sense of belonging… when it came down to the number of people Charlotte could turn to for comfort and company… Aurora’s concerns weren’t entirely unfounded. Hence the invention of Charlotte’s tailor made handy dandy fictional fiancé. A wonderfully useful man if ever there was one. And last but not least, absent. Once the awkwardness of the initial deception had passed, the fictional fiancé had provided endless hours of bedside entertainment. More to the point, his presence—so to speak—had provided valuable reassurance to a godmother who needed it that Charlotte would be loved. That she wouldn’t be lonely. Not with the likes of Thaddeus Jeremiah Gilbert Tyler around. Not that anyone actually called the man Thaddeus to his face, oh, no. His research colleagues called him Tyler, and they uttered the name respectfully given his status as an independently wealthy globetrotting botanist, humanitarian, eco warrior, and citizen of Australia. His mother called him TJ. Always had, always would. Thaddeus Jeremiah Gilbert’s father called him son, and bore a startling resemblance to Sean Connery. The adventurous Mr Tyler had no siblings—easier just to make him like Charlotte in that regard. Charlotte called him Gil and laced the word with affection and desire, and Aurora believed. Gil was in Papua New Guinea, somewhere up the Sepik River where phones were few and contact with the outside world was practically nonexistent. Charlotte had managed to get a message through to him though… finally… and he’d sent a tribesman back to Moresby with a message for her. He hoped to be there soon, for he’d missed Charlotte most desperately and never wanted to be parted from her again. He wanted to meet Aurora for he’d heard so much about her. Accomplished businesswoman, artefact collector, godmother and all round good fairy; he wanted to meet the woman who’d raised his beloved Charlotte. Aurora wanted to meet him. The wonderfully eccentric Aurora Herschoval being the closest thing to family Charlotte had ever had, for her parents were long dead, over twenty years dead now, and little more than a glamorous memory. The cancer-ridden and increasingly morphine-medicated Aurora had a tendency to confuse Gil with Charlotte’s father. Easy enough to do, Charlotte supposed, seeing as she’d modelled the man on the bits of her father she remembered. Gil, aka TJ, aka Thaddeus Jeremiah Gilbert Tyler, in other words her fictional fiancé, also paid homage to Indiana Jones (complete with hat), Captain Kirk (probably best not to try and figure out why), and a swaggering Caribbean pirate or two (minus the hygiene issues). Yes, indeed, Charlotte’s fiancé was quite a man. She’d miss him dreadfully when he was gone. His zest for life and new experiences. His tenderness and his wit. His company, as daft as that sounded, for he had kept her company these long anxious nights. He’d helped her keep the tears at bay and given her the strength to face what was coming. Aurora passed away right on time. Two months from the discovery of the cancer to the finish, just as the good doctor had predicted. This time, the thought of Gilbert did not hold Charlotte’s tears at bay. She wept with relief that Aurora’s pain had finally ceased. She wept with grief for the loss of a mother and friend. Gilbert didn’t make it home to Australia in time to meet Aurora—an unforgiveable act of negligence as far as Charlotte was concerned. Poetic justice came swiftly. Gilbert, in his haste to return to her, had ventured into territory he had no business venturing into. Once there, the reckless (yet noble) fool had tried to prevent the kidnapping of tribal daughters by a renegade hunting party, so it was said. Authorities had little hope of recovering his remains. The words long pig had been whispered. It was a double blow, his demise coming so soon after Aurora’s, and in the wee small hours of the night Charlotte mourned for him. A lot of readers consider this one of my farthest flung plots (and that’s saying something, what with funeral vases, elephants and hit men in the running). What I find delicious is how much of this story is based on real events. I used to be married to an academic (an entomologist—a guy who studied insects) who used to get lost up the Sepik River in Papua New Guinea all the time. Okay, occasionally. Okay, once. But he was often off-map and out of contact. Cue the exciting calls from HR wondering if he was still alive. And if he was—and if he rang—could he call them … before they packed up his desk. 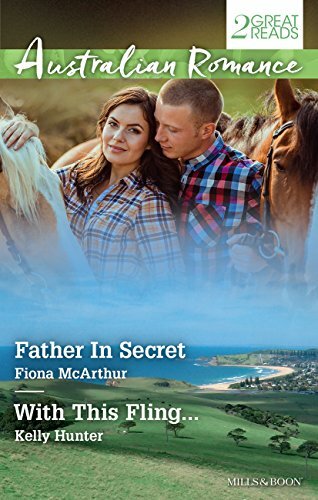 This story won things—including the 2011 Australian Romance Readers Association’s award for Favourite Short Category Romance.